Darts clubs in Christchurch, under the auspices of the Canterbury Combined Chartered Clubs Darts Association (CCCCDA), provide great opportunities for individuals and families to become involved in this exciting sport at both recreational and competitive levels. Our site combines good information for newcomers to the sport with news, events calendar and results for dart players already active in Canterbury. Find a Darts Club near you. At higher competition levels, darts is played by professionals. The top players tend to train athletically as well as practice their game on the dartboard. They stand to win big money in the UK competitions and the average age of the top players is in the 20-40 years age group. New Zealand sends its best players to the World Darts Championship each year and any member of a CCCCDA club is eligible to work towards this goal. At its upper levels darts is very competitive! The social aspect of darts is the biggest drawcard for a lot of players. No matter their "grade" they're happy to turn up and enjoy the company their sport provides. Taking part in regional competitions allows players to meet people from all across the South Island and many firm friendships are formed. Occasional travel to other areas for competitions provides an opportunity for good times and a real break from day-to-day routines. Darts is one of the few sports where you can enjoy a drink with friends while playing. 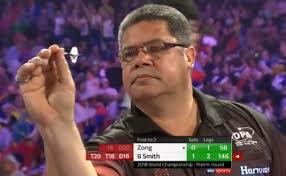 You don't need to be a top athlete to play darts. As long as you can throw a dart far enough to hit the board, you can play! Most of our member clubs will accept players in their mid-teens and there is no upper limit. In other words, almost anyone can play darts. It is common for husband and wife and family groups to play at their local club. Darts is one of the few sports that does not require a big financial commitment. Though our member clubs subscriptions vary a little, you can join up for approximately $35 per year. You will probably want to buy your own set of darts when you have some experience. The only other expenses are food, drink and travel, if appropriate. You can have an enormous amount fun and enjoyment for a very small investment. Are you interested in playing darts in the Canterbury region? Find a Darts Club near you now and learn more.